Our HSE 600 Watt fixture’s integrated electronic ballast guarantees low energy consumption and a long life, offering you greater light intensities without adversely affecting your energy efficiency. Our HSE 600 provides more light with less energy. We developed and perfected the electronic ballast devices integrated in this fixture. Each fixture moreover has a LED indicator enabling you to solve any problems at the source. The unique design, with cooling fins and a heat shield, keeps the temperature in the fixture constant. The dust-repellent housing keeps the fixture clean, ensuring optimum output of light, while a membrane in the housing ensures ventilation and protects the fixture against the negative effects of moisture on the electronic components. One by one smart solutions to optimally protect all the electronic components against external influences. The fixture’s highly compact design minimises undesired shadows on the plants. And thanks to the special adapter, the lamp and reflector can be easily, quickly and safely installed. 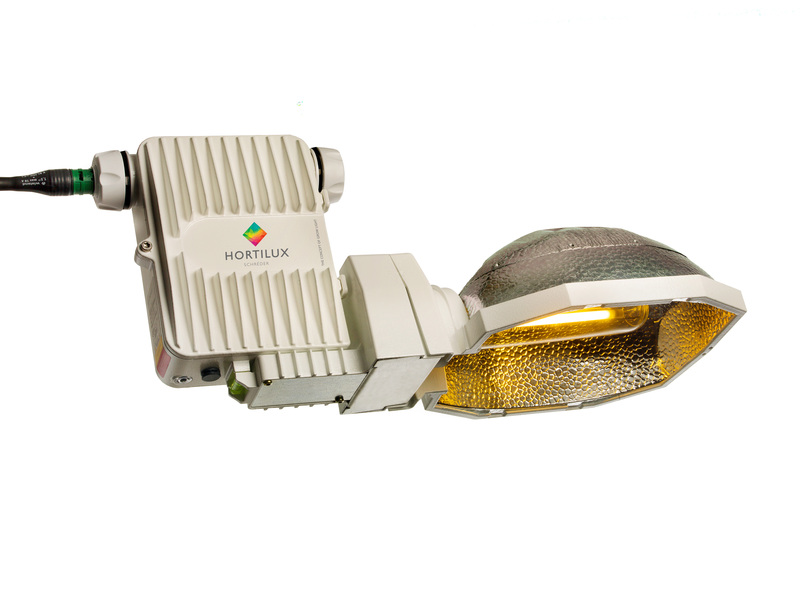 Would you like to discuss the possibilities of the HSE 600 or one of Hortilux’s other fixtures with us? We will gladly visit you free of obligations to discuss your specific requirements and offer suitable advice.